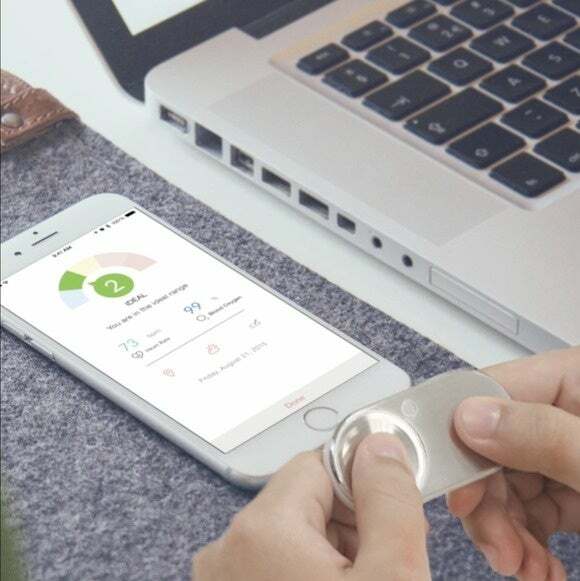 MocaCare's new gadget makes it simple to detect your heart rate, blood oxygen level, and cardiovascular health. Checking your heart health will no longer necessarily require a visit to the doctor or an uncomfortable strap. 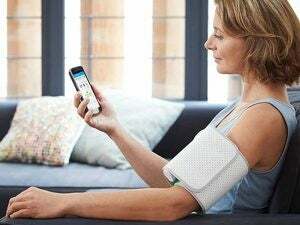 The new MocaHeart tracker by MocaCare can indicate several heart conditions by simply scanning your thumbs and sending the data to your smartphone. 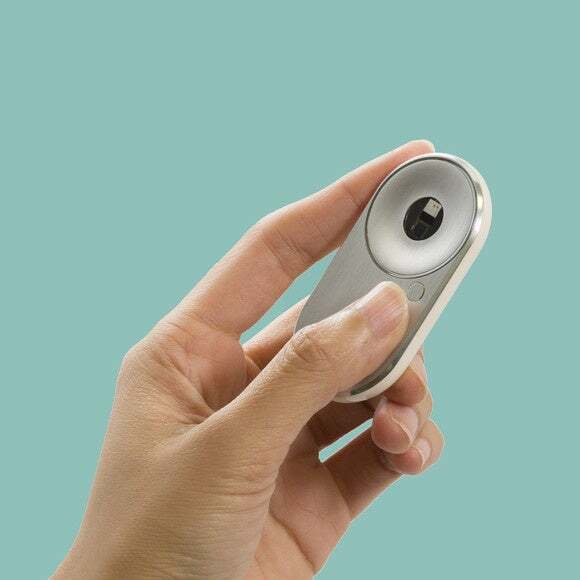 The MocaHeart uses thumb scans to measure your blood velocity, and takes the determined velocity to calculate your heart rate, blood oxygen levels, and cardiovascular health. MocaCare has developed the proprietary Moca Index to give a snapshot on overall heart health on simple 1-5 scale (Low, Ideal, Raised, High, or Very High) as determined by your blood velocity. The Moca Index is a measurement of blood flow, which is correlated to blood pressure. Generally the faster the blood flows through the blood vessels, the higher the blood pressure. To track your heart conditions, simply press down on the MocaHeart for a few seconds. The device has its own iOS and Android app for visualizing the results and pinpoint any daily, weekly, monthly or annual trends and insights. You can also use the app to send your heart results to family, friends, or your doctor and keep them updated on your condition with an in-app messaging system. The app also sends alerts to remind you to conduct a thumb scan, and it can automatically take into consideration certain environmental factors, such as weather and location. MocaHeart is also compatible with HealthKit to automatically send and aggregate the health data to your iPhone. The MocaHeart device has an optical sensor and electrode, it’s made from medical-grade stainless steel and biocompatible plastic, and has a built-in battery the company says lasts about 3 days and can be recharged via a micro-USB cable. The MocaHeart is available for purchase for $150. MocaCare is unveiling the latest version of the MocaHeart device at CES 2016 in four new colors: pink, green, yellow, and platinum. In addition, the company is also launching two new accessories to integrate heart monitoring into your daily routine, including a $29 leather keychain and a $19 case for the iPhone 6 and 6s. 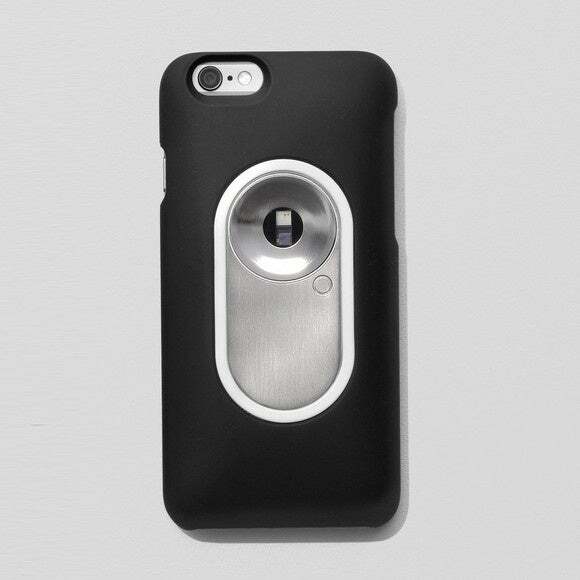 Cases for Android phones are forthcoming. The MocaHeart and Moca Index were developed over the span of two years by a team of scientists, engineers, designers, researchers and physicians from Stanford, MIT and other universities. Because the MocaHeart is not a certified blood pressure monitor used for medical testing or to diagnose or treat medical conditions, it does not require FDA clearance. However the MocaCare team is looking to get FDA clearance to use the data collected by the MocaHeart in clinical trials.